This board book has been traveling in our church bag for the past three weeks and all of our children loved it. 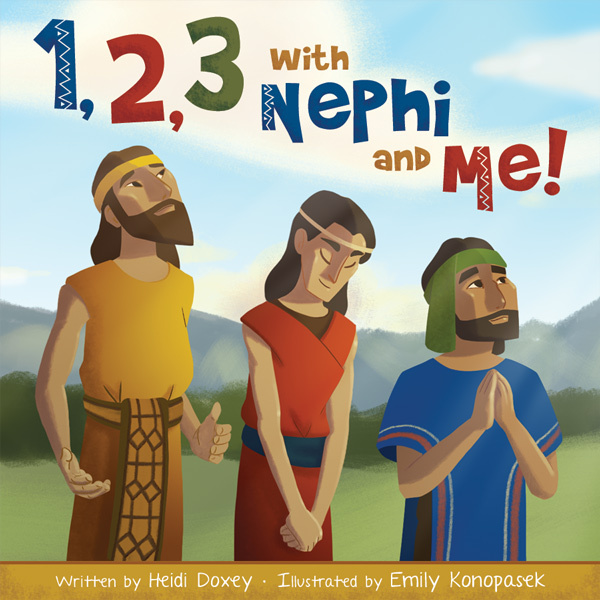 With ryhming text, vibrant illustrations and scriptural references on each page, it is a great way to teach the gospel. I love the sturdy board book format. Five thumbs up from five little readers. She lives in Utah, where she works in publishing, but she still calls the San Francisco Bay Area home. When she’s not writing or reading, she enjoys hiking, riding her bike, playing volleyball, traveling, watching movies, and spending time with family and friends. Visit her online at girlwithalltheanswers.blogspot.com. Emily Konopasek is an animation student at Brigham Young University. Other than drawing, she loves snowboarding, listening to EDM, making delicious food, and being Swedish.